I would like to think I More.com For this wonderful article. So I can share it with other people. Steve Jobs returned to the WWDC keynote stage on June 7, 2010. He'd introduced the iPad earlier in the year, and kicked things off with an update on how it, and the App Store had been doing. Then he turned his attention to iPhone, and after recapping Apple had done to date, he began on what would come next. It had over 100 new features. It has an all-new design, an all-new camera, and an all new screen resolution. It was hot. It was the iPhone 4. 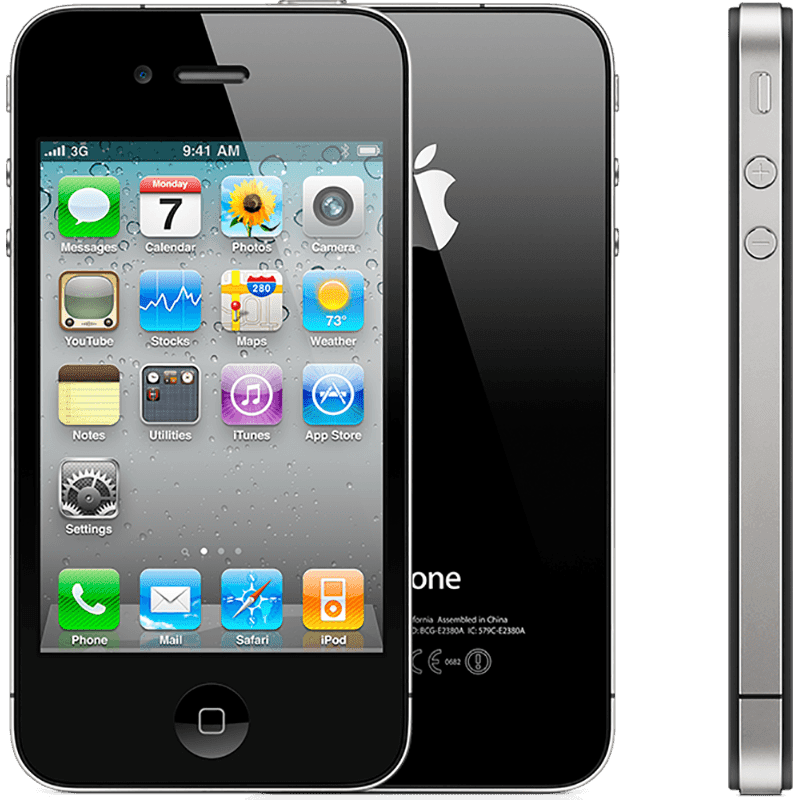 The iPhone 4, codenamed N90/N92 and model iPhone3,1, for the first time, offered significant improvements to the display. Apple went with optical lamination and an inter-plane switching (ISP) panel with light-emitting diode (LED) backlighting that made images look as if they were painted just beneath the glass, and greatly improved the viewing angle. Moreover, instead of matching competing display sizes of the time, they leap-frogged over them. To boost pixel count yet maintain compatibility with existing apps, Apple doubled both horizontal and vertical counts, while keeping the physical size constant at 3.5-inches. They went from 480x320 to 960x640. That brought the density up from 163ppi to 326ppi, and Apple made the argument that, at that point, the pixels disappeared. They called it a Retina display. The cellular radio stayed pretty much the same, at least at first, though Apple did switch from mini to microSIM for the carrier card. Bluetooth stayed the same as well. The Wi-Fi radio went to 802.11 g/b/n, though only on the 2.4Mhz band. The kicker was, the stainless steel band around the iPhone was the antenna for all these radios. The top left contained Bluetooth, Wi-Fi, and aGPS, and the rest contained UMTS/HSPA. Steve Jobs said it had never been done before. Unfortunately, it hadn't been perfected yet either (see below). Dual mics were also added for noise cancelation and better noise quality. Again, we had a full model number increase, which meant a full processor increase. In the case it was the custom-designed system-on-a-chip, Apple A4. It was still an ARM Cortex A8 processor, though clocked higher at 800Mhz, and the same PowerVR SGX535 graphics chip, but it would set the stage for some truly impressive work over the next few years. Storage options stayed the same at 16GB and 32GB, but RAM was increased to 512MB. Like every first generation Retina device, however, it was barely enough to support all those additional pixels. The battery was the sole exception. It jumped to 1420mAh, which meant that, even with Retina, Apple actually managed to increase useful battery life as well. In addition to the previous accelerometer and compass, Apple added a 3-axis gyroscope to the iPhone 4, with pitch, roll, and yaw, as well as rotation around gravity. Working together they provided 6-axis motion detection. It was a huge leap forward when it came to precision control, especially for gaming. Apple took the iPhone 4's rear camera to 5 megapixels and 720p video, but at the same 1.75 micro pixel size, and added a backside illuminated sensor (BSI) and LED flash. There was, however, one more thing. For the first time, Apple also added a front camera, VGA resolution, and while it was a boon to the profile pics and "selfies" that were growing in popularity, it also allowed Apple to launch FaceTime video calling. Price once again stayed the same, $199 and $299 on contract. As innovative and exciting as the iPhone 4 was, it was also a painful year in many ways for Apple and for the product line, starting well before the launch. On April 19, 2010, it was revealed that an iPhone 4 prototype had been separated from an Apple engineer at a Redwood City bar. That prototype eventually made its way online, resulting in Apple biggest product leak ever. While other sites got photos, the site that got the phone was Gizmodo. The color white also provided Apple with considerable challenges. They had to prevent UV rays from yellowing it over time, and they had to prevent the opacity of the paint from interfering with the internal sensors. That took longer than they anticipated. Short term it meant the white iPhone 4 would not ship on time. It would take until April 28, 2011 to hit the shelves. We wouldn't have to wait a full year for a completely new iPhone generation to get the redesigned antenna, however. We only had to wait some six months, at least for the announcement. On January 10, 2011 Apple's then-COO Tim Cook took the stage at another, separate event and announced the iPhone would, at long last, come to Verizon. It launched on February 10, and included a new antenna array that not only minimized detuning but supported CDMA and EVDO Rev A networking. It was nowhere nearly as fast as GSM HSPA, nor could it handle simultaneous voice and data, but thanks to Verizon's network, it greatly increased the reach and customer experience in the U.S. The best iPhone ever. Again. The iPhone 4 launched on June 15, 2010. It would hit 88 countries and 185 carriers by the end of the year. Apple also launched iOS 4 along with it. Despite an initial rollout of only 5 countries, and considerable supply constraint, they still sold 1.7 million that first weekend. And only part of that was the iPhone 4s. This is a really good post that you have shared here with all of us. I found it to be really interesting and informative on so many levels. Keep up the good job.